Crochet Leaf Tutorial will help you to create a beautiful leaf which is a great addition for you crochet project. 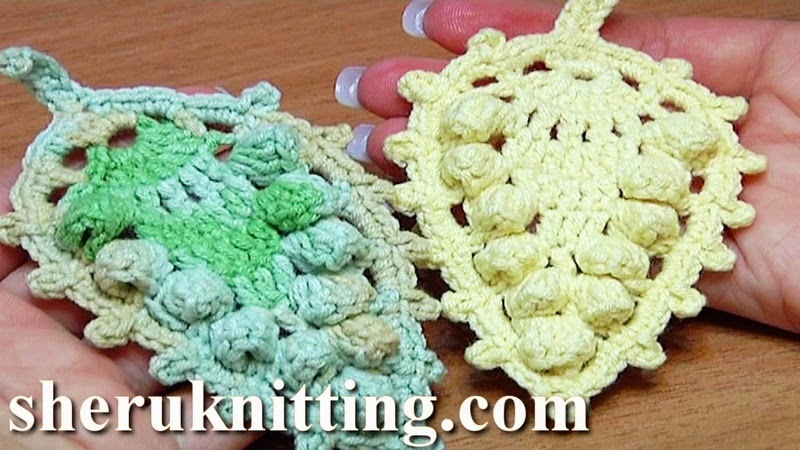 Leaf has back and front side so you would need to make popcorn stitches in two ways: first way is when you make popcorns on the front side fold them to the right and when you crochet rows on the back side you would need to fold popcorn stitches to the left. Following the tutorial it is not difficult at all. To make the leaf more beautiful we made trim with picots all around. Thanks for watching!